Online retailer with a complete paddling gear store. Kayak sea touring gear, spray skirts, dry gear, thermal wear, pads, mitts, hats and caps. Popular retailer, online store and catalog company, they have been outfitting the serious outdoorsman with high quality fishing, marine, hunting and outdoor gear and clothing. Technical, innovative sports outerwear including ski jackets, pants, shells, climbing, backcountry skiing, hiking and more. A paddle sport specialty store featuring a large selection of top products. Shop at either of their two retail stores or online. Well-known clothing manufacturer. 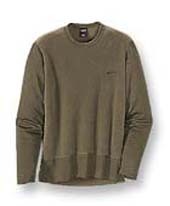 The best collection online is arguably at Cabela's. 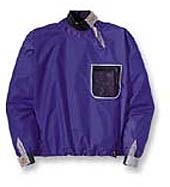 Clothing and products to keep you warm and dry. Full line of kayaking accessories. Shirts and jackets for kayakers. Produces tee's, beanies, jackets, caps, UV shirts and more that lets everyone know you're a kayaker. Technical and casual kayaking clothing. UK maker of kayaks, paddles and accessories. Clothing for around the water. Clothing for the great outdoors. UK maker of kayaking clothing and accessories. Manufacturer/distributor of kayaks, paddles and all the accessories. All kinds of clothing and outerwear for outdoor recreation. Store, lessons and online retailer. UK maker of kayaking accessories and clothing. Top catalogue and online retailer of quality outdoor clothing. Manufacturer and online shop for kayaking clothing and accessories. They offer free shipping from the UK and New Zealand. Store, catalogue and online retailer. Full line of kayaks, paddles, accessories and clothing. Paddling accessories, helmets and clothing. Produces the "Kayaking Makes Me Wet" t-shirt line. Water Girl USA, Inc. is clothing and swimwear made by women for women. They make water apparel for paddling, surfing and windsurfing. Sister company of Patagonia. Kayak and canoe apparel, outerwear, headgear and accessories. Manufactures paddles, accessories and clothing. Patagonia makes great outdoor clothing and technical wear like this Cobalt paddling jacket and light weight core top. The paddling jacket is a versatile paddling shell, durable and water repellent; while the M's Capilene EW Core top is a combination expedition weight torso and lighter weight in the sleeves, hem and neck for reduced bulk and improved breathability and mobility.